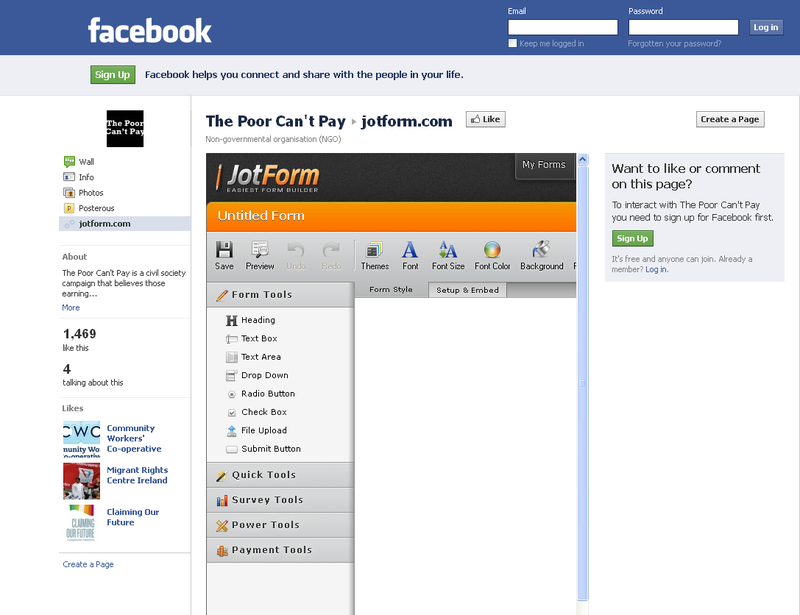 I have tried to integrate a jotform form onto our facebook page. Any suggestions on what went wrong and how I can fix it? I hope this helps. Please let us know if you have further questions. Thank you for using JotForm! I am using your facebook integration button with this form. Can I upload some screenshots of the App page on facebook to show you the exact detail? I just noticed that the form ID I get from the Embed Form toolbar is not 11 digits, its only 10 digits!